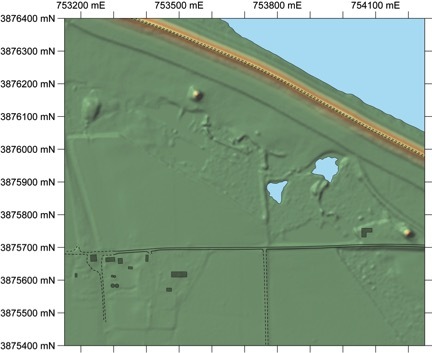 The Edgefield site consists of three conical earthen mounds arranged on a northwest-southeast axis and extending roughly two thirds of a mile along a levee of the Mississippi River. The two largest mounds are roughly 20 feet in height, while the northwesternmost of the three is just under ten feet. Much of the surrounding soil has been removed from the site for use in levee construction, making the mounds appear taller than they are. Professional archaeological excavations in the northeastern slope of Mound A indicate that it was built in a single stage by Native American people during the Mississippi Period, ca. AD 1200-1600. 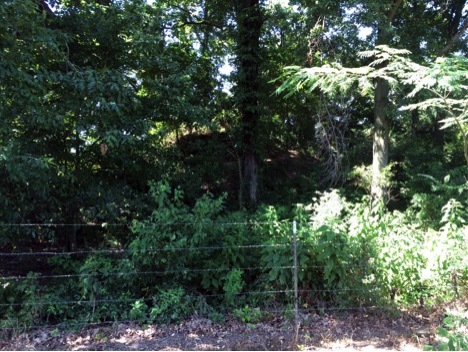 Archaeologists speculate that Edgefield Mounds may have been associated with the better-known Walls Site, a Mississippi Period site located a few hundred feet to the east. The Walls site was completely destroyed by levee construction.